Provides complete Faraday Cage protection and safely protects static sensitive items during shipping and transport. 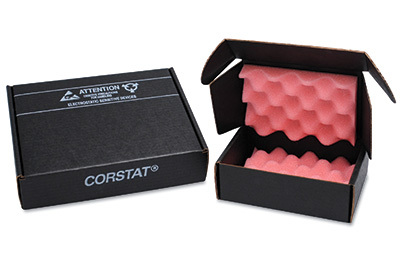 Made from heavy-duty Corstat conductive corrugated. Boxes have static-dissipative convoluted foam to provide extra cushioning. Top foam piece is adhered to inside while bottom foam piece is loose in box.